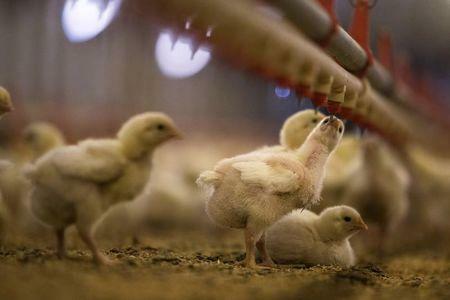 (Reuters) - Limited supplies of baby poultry and barn space to house them will hamper U.S. farmers' efforts to rebuild ravaged egg supplies after the nation's worst-ever outbreak of bird flu. As a result of the shortages and the loss of more than 48 million chickens and turkeys to the disease, egg prices will climb higher than previously expected this year and remain high through 2016, according to estimates from the U.S. Department of Agriculture (USDA). Frozen wholesale turkey prices are expected to be up to 19 percent higher for the key Thanksgiving holiday than they were a year ago. Chicken and turkey producers say the egg and poultry industry faces up to two years of rebuilding to fully replace flocks. Almost two months have passed since the last case of flu was detected, and farmers whose flocks were wiped out are now cleaning their barns before bringing in new birds. But the USDA has yet to give the clearance that would allow any chicken sites in Iowa, the top egg-producing state, to bring in replacements. Some farms that raise egg-laying chickens are expected to start bringing in new chickens this fall, although sites that lost millions of birds will likely remain empty until the end of the year due to the long cleanup process. The USDA clears farms on a case by case basis after testing to make sure the virus has been eliminated. And the rebuilding process could last even longer if the virus re-emerges this fall when wild ducks, which carry the disease, begin their seasonal migrations. Minnesota and Iowa turkey farms, infected before some of the chicken farms, have begun restocking thanks to a faster cleanup process. Unlike laying hens, turkeys are not kept in cages, but it won’t be quick enough to avert sticker shock come November’s holiday. Top U.S. turkey hatcher Willmar Poultry Co has told customers it expects shortages of baby turkeys needed to restock barns, said Brad Moline, an Iowa farmer and representative of the National Turkey Federation. Willmar did not respond to requests for comment. The USDA, in a monthly supply and demand report on Aug. 12, raised its estimate for wholesale frozen turkey prices in the fourth quarter to $1.28 to $1.36 per pound, up from an average of about $1.14 a year earlier. Grocers often discount turkeys during the holidays to drive traffic in stores. However, rising wholesale prices could still sting shoppers. "Some chains might not discount them quite as heavily," USDA agricultural economist Dave Harvey said. Wholesale shell egg prices in the Midwest reached a record high of $2.88 a dozen in the first week of August, more than double the price a year earlier, according to commodities firm Urner Barry. More Americans are eating breakfast out, putting further upward pressure on prices. The USDA, which uses New York wholesale egg prices as a benchmark, last week raised its forecast for 2015 and 2016, citing the tight supplies. In the fourth quarter of this year, the USDA sees New York wholesale egg prices averaging $2.38 to $2.52 a dozen, up about a third from its July estimate of $1.79 to $1.91. It predicts prices next year will average $1.64 to $1.78 a dozen, up about 20 percent from its July estimate, and still above the record average high recorded in 2014 of about $1.42. Poultry breeders and hatcheries like Hy-Line International, the world's largest seller of baby chicks that grow into egg-laying hens, are already overwhelmed with orders for replacement birds from farmers desperate to resume production, according to customers. "Every egg that is out there is spoken for, as far as hatching eggs," said Steve Welch, Iowa-based sales representative for Centurion Poultry, which hatches Hy-Line eggs and delivers the chicks to egg producers. Dunkin' Brands Group Inc, which franchises the Dunkin' Donuts chain and serves breakfast sandwiches with eggs, withdrew a "major promotion" for the third quarter because of tight supplies. A spokeswoman declined to provide details. 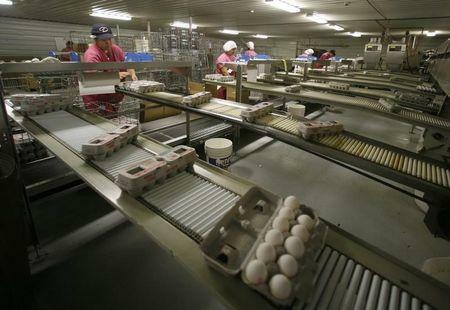 Michael Foods, a unit of cereal maker Post Holdings Inc that distributes egg products, has suspended production of some items, furloughed workers and raised prices several times. On August 7, Post Chief Executive Rob Vitale said "all of the dynamics that are in place now will continue through the bulk of calendar year 2016." Iowa-based Hy-Line, owned by Germany's EW Group, dominates up to 80 percent of the market for selling the baby birds needed to replace chickens that died, according to industry members. Farmers with orders on the books for chicks this autumn are "hanging on to those orders in hopes that they can get approval" from the USDA to restock, said Tom Jorgensen, general counsel for Hy-Line. Farmers can cancel orders about a month ahead of delivery if they do not win approval, and Hy-Line can resell the birds. "Right now this whole re-population thing is a bit of a moving target," said Jorgensen, who called the industry's market share estimates for Hy-Line "fair". He said he could not confirm whether there would be a shortage of baby chicks. Large egg farms typically only replace a small portion of their egg-laying hens at a time as the birds grow older and produce fewer eggs. Now, farmers want more birds than usual all at once to restart their businesses after losing entire flocks to the flu. However, hatcheries cannot easily ramp up production without more breeding birds and incubators. "These are not widgets," Chad Gregory, CEO of the trade group United Egg Producers, said about the birds. "You cannot just add another shift." There is also limited barn space for raising chicks into young birds, known as pullets. Once the USDA begins clearing Iowa farms to restock chickens, orders for replacement birds will pile up, Gregory said. 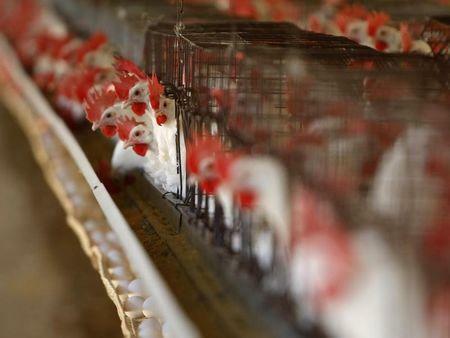 Rembrandt Foods, a top egg producer, is looking at ways to speed up the rebuilding process, including putting young birds into laying houses weeks earlier than usual, spokesman Jonathan Spurway said. The move would create additional space in pullet barns to raise replacement birds while pullets finish growing in laying houses. But the birds need to be tall enough to reach feed and water systems in laying houses, making it a complicated tactic. Rembrandt had two farms infected, one containing about 5 million chickens and the other about 2 million. The Iowa-based company does not expect to begin restocking them until December or January and is importing shell eggs from Europe to help fill the supply gap, Spurway said. "You can't skip the pullet-growing process," he said. "That's why the pullet growing is going to be such a bottleneck in the industry."